A distinct sound. A fun time. Something for everyone. That’s what this album offers. Brent Cobb is an American singer, songwriter and musician who plays country music tinged with Americana, southern rock and outlaw leanings. To-date, he has released three studio albums – No Place Left to Leave (2006) Shine on Rainy Day (2016) and Providence Canyon (2018). Now if you are wondering why the gap between his first album, and his second album, it’s because No Place Left to Leave was recorded on the Beverly Martel label with his established producer cousin Dave Cobb. During this space of time, Cobb moved to Nashville in 2008, landed a songwriting contract with Carnival Music Publishing, and began writing for prominent artists. Namely, Luke Bryan, Miranda Lambert, Kenny Chesney and a whole host of others. When he released an EP in 2012, he was able to leverage it into performances opening for Blake Shelton, Sara Evans, and other well-known artists. And then Cobb landed a spot on Dave Cobb’s compilation record Southern Family. When he finally got onto major label Low Country Sound, he was able to release a major studio record, earning himself a Grammy Nomination and deserved attention. Now let’s consider his third record, Providence Canyon. This album continues the trend of overt Americana notes, and has a distinct conversational tone, often focusing on where he’s been, where he’s going and what he loves about his hometown. Filled to the brim with details about old rifles, fallen friends, and monetizing the freedom of the road, Cobb is just as comfortable crooning about red clay walls (Providence Canyon) as he is reflecting on his time with Willie Nelson (Come Home Soon), and there is a spirituality contained in each track to boot. Of course there are songs like Mornin’s Gonna Come and Sucker For A Good Time that focus primarily on sleeping around and the consequences of it, like say the reality of running into the girls boyfriend the morning after. Another common theme to be sure, but his presentation has a great indie country flavour, and fits in perfectly with the overall tone of the album. Another great track is his ode to Wayne Mills, and the first single of the album. King of Alabama is a particularly eclectic tribute to his late comrade and yet another reminder of where Cobb comes from. Which as mentioned features strongly throughout the whole record, but I think it’s less of a thematic tool and more a demonstration of his character and what he cares about. When we get into the final song, Ain’t A Road Too Long, it’s been quite a journey. But Cobb doesn’t pull his punches here either. This is probably one of my favourite songs as it is an especially haunting exploration about what happens when you life a life on the road. The natural ups and downs, but more importantly, the way an escape form becomes a job. These are gritty stories that manage to work well across Cobb’s already established choice musical styles, and there is even some funk found in the middle of the album with .30-06. Yet another great track that talks about a wife’s infidelity and a jealous threat using a classic hunting rifle as weapon of choice. That said, I’m also partial to High In The Country and Lorene as they call back to 1970s outlaw country. Pros: It sets the bar even higher then his last album did, and save a couple weaker tracks, it is a really solid listening experience. King of Alabama and Ain’t A Road Too Long are great 2018 summer songs. Cons: For whatever reason, the backing vocals and the tone of both If I Don’t See Ya and When The Dust Settles are a little mundane for me, and don’t have any staying power. This is the kind of album that is immediately enjoyable, but also bears some weight as you spend more time with it, giving it a natural progression and lots of layers to unpeel. But that is the way that Brent Cobb writes, he’s happy to share intricacies of his life, if it means a more intricate song can come out of the labour. Yes, these are well-worn themes, but what makes them inspired comes from the delivery method, Cobb focuses on things he cares about, and so that makes them interesting to the casual listener. Okay here are my final thoughts. If a musician can open up for Chris Stapleton and still retain their stage presence, then that is an artist worth listening to. That, and super producer Dave Cobb is the voice behind both artists. 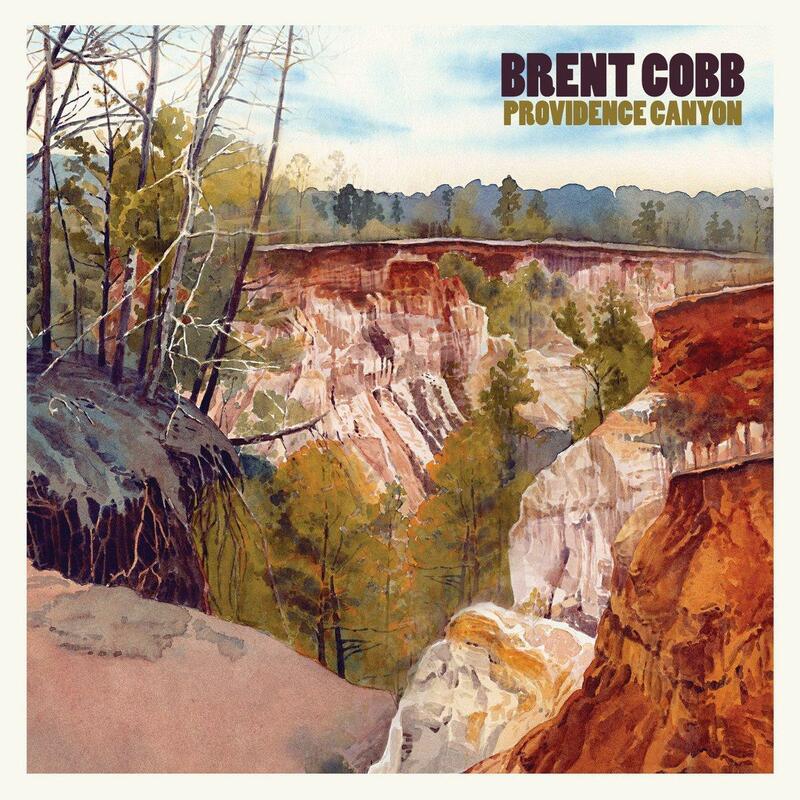 Brent Cobb’s Providence Canyon is an album of both internal and external geography, and it never sounds preachy on either front. A definite add to your collection. And speaking of solo artists who just don’t know how to quit what they know, Brendon and I have a Sound Culture video on Caribou’s The Milk of Human Kindness. Dan Snaith is a mathematician, composer and musician that makes electronic music to melt your ears to. And if you like either of these album reviews or both of them, please like and share the video, and of course, please subscribe to the blog and channel for more awesome theories on the arts! Tomorrow I have some thoughts on Batman Ninja.